Odfjell is dependent on highly competent crew for our day-to-day operations, and we have a continuous focus on competence development and training. In Odfjell, experienced staff from sea and shore, and from our partners, facilitate training that is continually reviewed and kept up-to-date. 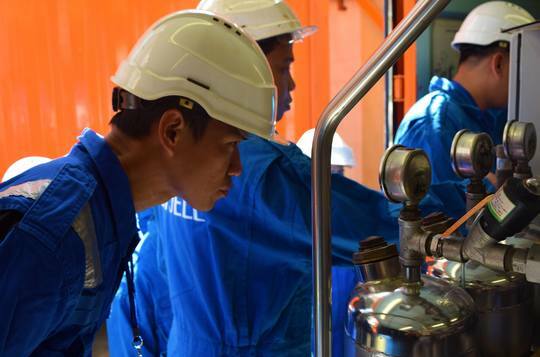 Top-of-the-line training equipment and facilities allow our seafarers to be familiar with technical procedures and safety features, even before they go on board. Competence is more than expert knowledge and excellent skills, it is also about having the right attitude. Apart from leadership and technical courses, Odfjell also offers a quality safety culture program recognized as a best practice by our oil major customers. Since 2002, Odfjell has sponsored thousands of students aiming for a maritime career. Through our scholarship program, we have more than 50 cadets enrolled in classes and on board various ships. Currently, we have 58 students in two maritime schools in the Philippines, and 17 cadets on shipboard training. As of 2018, the Odfjell Cadetship program has educated 277 graduates. These graduates continue to excel and many of them have already become Odfjell’s reliable officers.